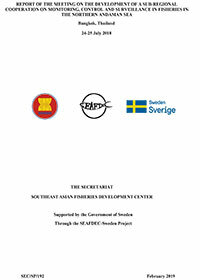 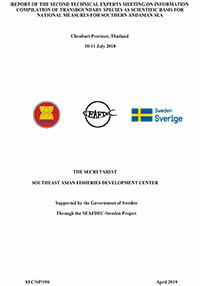 The SEAFDEC Regional Fisheries Policy Network (RFPN) is a human resource capacity development program provided to the fisheries officers of the ASEAN Member States. 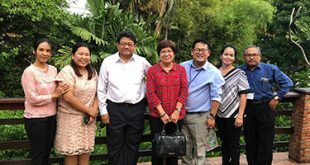 The RFPN members for 2019 are Mr. Ngin Kamsan (Cambodia), Mr. Agus Sapari (Indonesia), Mr. Khambor Souliphone (Lao PDR), Ms. Kay Khine Tint (Myanmar), Ms. Jennifer G. Viron (Philippines), Ms. Sumolmal Suwannapoom (Thailand), Ms. Thanh Phuong Vu (Viet Nam), and another one will be coming Malaysia. 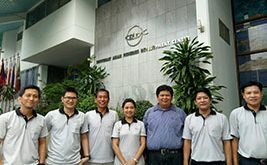 During their secondment at SEAFDEC Secretariat in Bangkok, Thailand, the RFPN members will have the opportunity to gain knowledge and better understanding of current global and regional fisheries issues confronting the region (e.g. 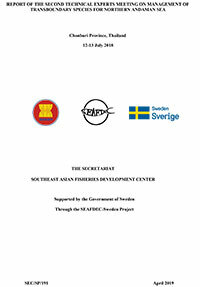 transboundary fishery resources, IUU fishing, CITES, among others). 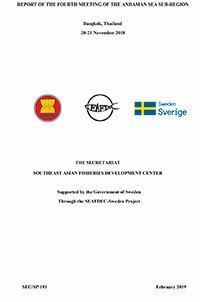 They will be given the chance to share their views on various fisheries issues related to the regional and sub-regional programs implemented by SEAFDEC in achieving sustainable development and management of fisheries and aquaculture to contribute to food security, poverty alleviation, and livelihood of people in the Southeast Asian region. 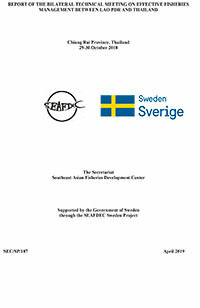 Moreover, during their one year tenure, the RFPN members will support the smooth cooperation between SEAFDEC and their respective countries as well as obtain multicultural interactions among the Network and others.